Whole Leaf Loose Tea vs Bagged Tea, Which is Better? The actual tea used is lesser quality. The tea they put in tea bags are usually the scraps left over from the loose leaf. The leaves are often beaten up, dusty, and downright gross. This mixture is then ground up and put in a bag. The tea loses flavor. Because the fact that scraps are used and it’s ground up, the tea loses many of its essential oils and aroma, resulting in more tannins in the tea. The tannins cause the tea to become bitter. The tea doesn’t have room to expand. A vital part of steeping is the expansion of the tea leaves, and in a tea bag, the tiny leaves are unable to expand because of the restrictive tea bag. This causes a decrease in flavor which isn’t present in loose leaf tea. 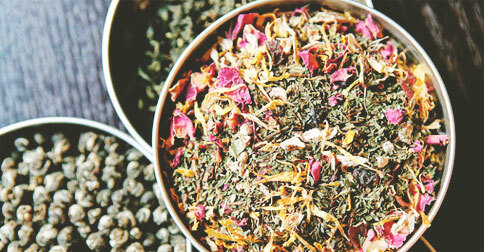 Bottom line: if you want to have the best tea you can, loose leaf is the way to go. It tastes better, isn’t more expensive, and is not much work at all. Your brew will taste better and be of better quality. Try it out!